North Area will be conducting the Venturing Foundations Course from 14 to 15 April 2017. As part of the Venturer Award requirements, all Venture Scouts are required to attend this Venturing Foundations Course. This course facilitates the acquisition of foundational skills to embark on the venturing programme and to enhance their learning in acquiring the skills for 21CC leadership. Course Fee: $25.00 per participant. All modes of payment (cash, cheque, payment by Scout Fund or IFFAS) should be made payable to ‘The Singapore Scout Association’ and indicate purpose as “North Area Venturing Foundations Course 2017’. Registration portal at http://intranet8.scout.org.sg/Content/default.aspx . 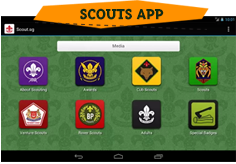 All payment should be made to the Singapore Scout Association. On 14 April 2017, all participants are to report to Hwa Chong SALT Centre at 0800h sharp in their full Scout uniform. Participants will be dismissed from Hwa Chong on 15 April 2017 by 1600h. Transport will not be provided to and fro Hwa Chong Institution. Participants must be able to complete the pre-course online modules and attend the whole 2D1N camp in order to fulfill the requirements for the course. The group application and health declaration forms are attached. As there will be a pre-course online modules and as part of logistical planning, the group application forms must be sent to limkkuan@singnet.com.sg with the number of participants by 10 March 2017. All participants are to complete the health declaration form and submit on the first day of the camp. Application is based on first come first served basis and confirmation of application is upon full payment of course fees along with completed group application form by the closing date. No refund will be given once the application is made. Application will only be accepted when the payment is made. Participating schools with female participants are required to provide at least 1 female chaperon throughout the camp. In case of enquiries, please feel free to email Dr. Lim See Ming limkkuan@singnet.com.sg. 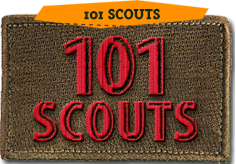 We look forward to the keen participation by your Venture Scouts.